Step 1: Install and activate Icegram Engage Max. 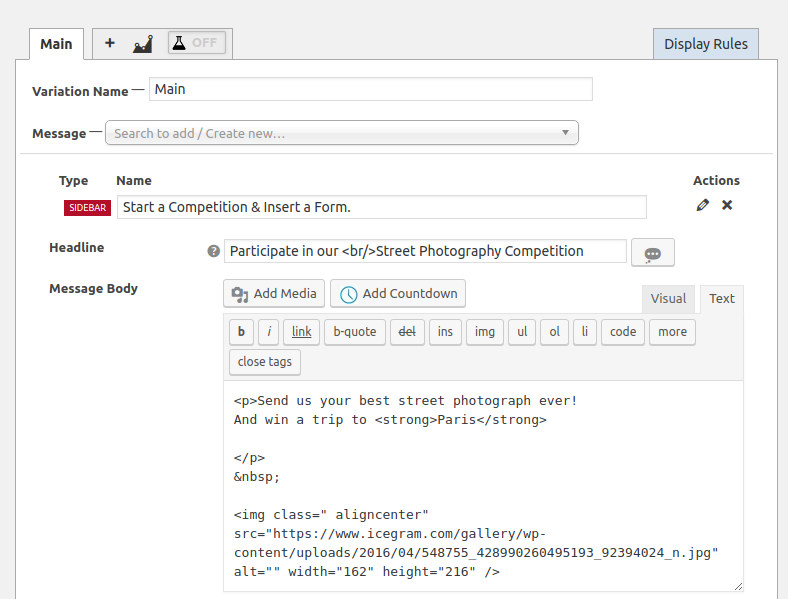 Step 3: Select Message Type as Sidebar. 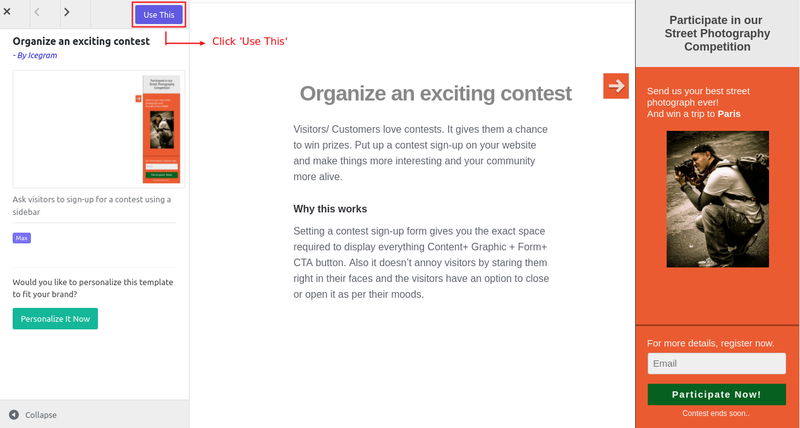 Step 7: Fill in other details like Button Label, Form, etc. 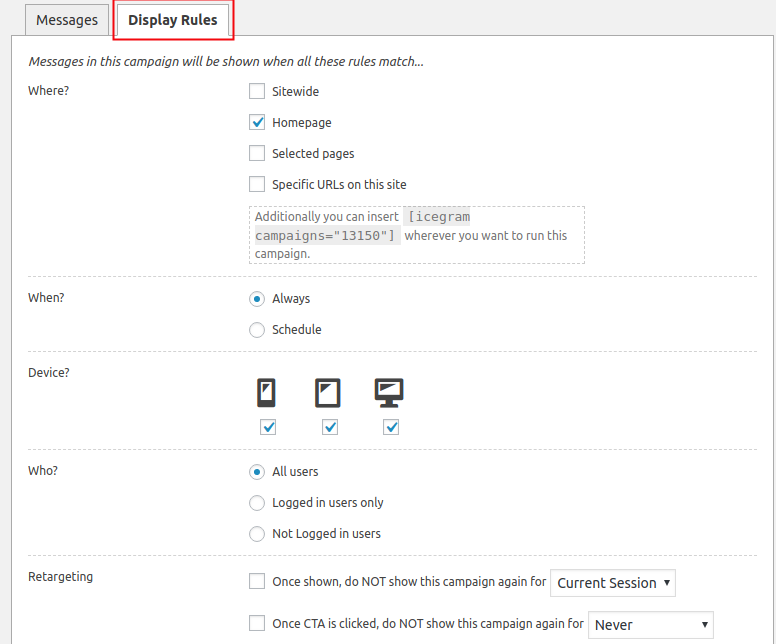 Step 8: Select Position to display the Sidebar message. 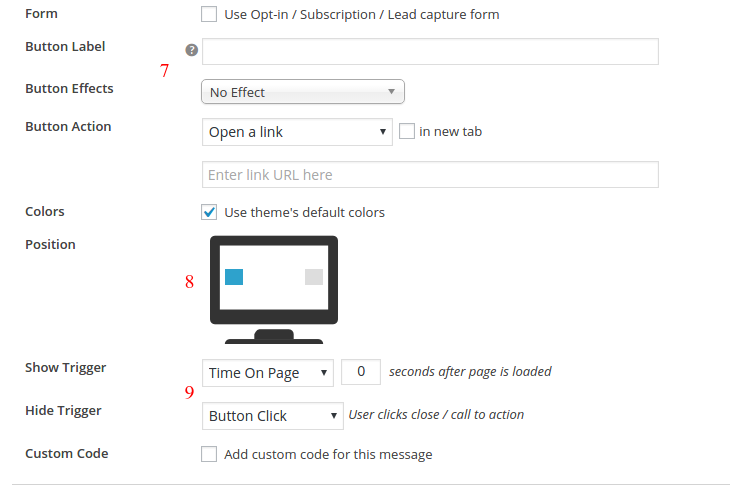 Step 9: Set Trigger as to when / how to show the Sidebar message. Note: Read more about the Sidebar message type.